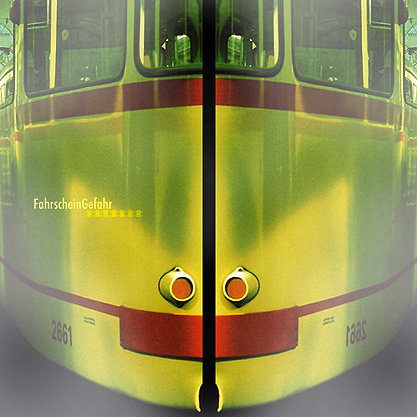 FahrscheinGefahr – the actual free give away album here! The equipment is quite rudimental, but nevertheless the music is opulent: laptop and keyboards care for high density arrangements generated from traditional instruments, electronic beats and frisky sound effects some people call “pop-music-style”. Primarily in German language the lyrics define shortly and ironically subjects like the dilemma between solitude and social contact, relational dramas and all day “accidents”. Although the music of FahrscheinGefahr is more punk and the lyrics are more snappy – their songs have been compared with those of german acts 2Raumwohnung and Rosenstolz. Thomas Kallweit, (Composition/Lyrics/Arrangement) creates and arranges music mostly with his computer – but he likes also playing the guitar and sometimes he even sings. 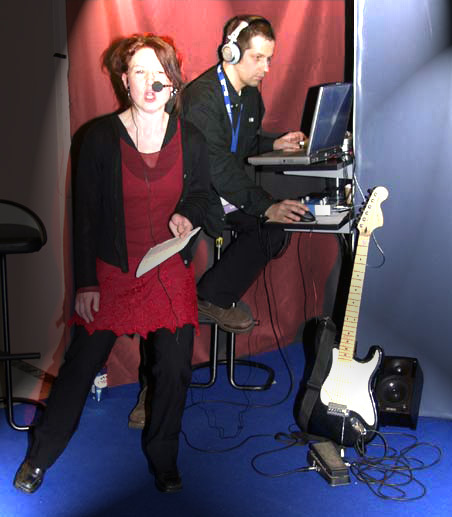 Kerstin Bohlin, (Vocals/Lyrics) works with the expression and interplay of words, lyrics and music – performing in theatre plays as well as in art. Here’s the FahrscheinGefahr-Album Thomekk did with the great german alto-singer Kerstin Bohlin (some time ago). Both put a lots of work in it. ADF decided to set this album free, as the project is unfortunately not alive anymore. So, feel free to download the songs or the whole album – if you want.. Please leave a comment if you liked the music..